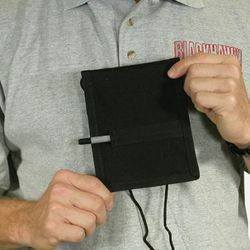 This large window badge holder includes a heavy-duty sleeve to store your pen. 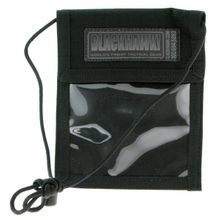 6 inches tall and 5 inches wide, this id holder has 2 other pockets to store your stuff, credentials, cards, small gear under the velcro flap. Another small plastic windowed sleeve (bout 4 x 1.5) is placed on the backside. Warranty card included.